In the Tigullio Tourism System, Marina Chiavari acts as a yachtsman base, not very far from Portofino, Cinque Terre (UNESCO patrimony), nor the most popular destinations such as Toscana, Sardinia, Corsica and the French Riviera. including the high speed Freccia Bianca trains that connect Genoa to Rome in only 4 hours. 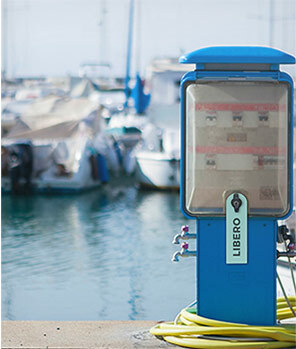 By automobile, the Chiavari toll booth is just a little more than 1 Km away to the harbour entrance and Lavagna’s is about a 4 km drive. The closest airport is Cristoforo Colombo in Genoa, about 40 kms away. Chiavari is a wonderful place to be discovered by tourists and yachtsmen. It’s a 5 minute walk from the harbour to the historic medieval centre with its covered walkways that reveal unparalled panoramic glimpses. The historic centre surrounds the “caruggio dritto” – a long, narrow alley – considered Tigullio’s open air shopping centre thanks to its rich array of shops, boutiques, quaint cafes, “trattorias” and restaurants. Long, soft beaches are typical of this area of the coast and are easily accessed from the recently refurbished and expanded seaside promenade. In addition, it is possible to access the neighbouring beach from the Marina which is equipped with beach volleyball courts, a playground on the water – the only one in the area -, a swimming pool and a first class beach resort. beautiful year round community where you can dock your vessel in a safe and secure harbour, bringing you peace of mind. 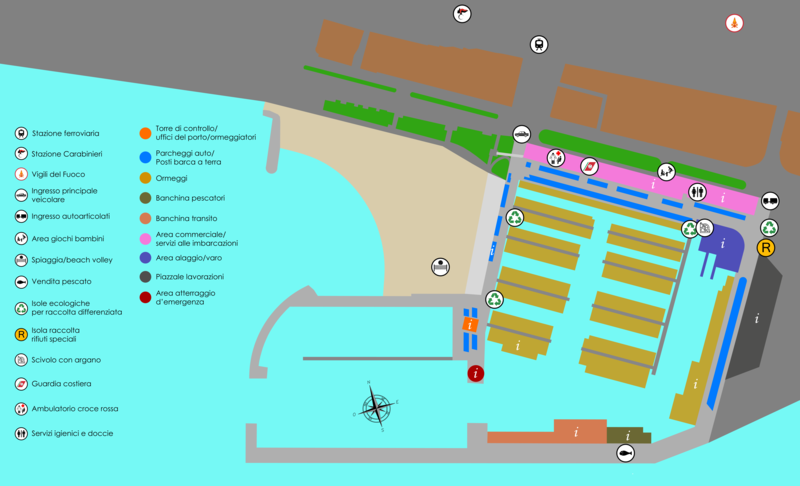 215 stalls are available on the ground for smaller vessels and/or vehicles. The transit dock can host 35 watercraft with 12 equipped moorings and conveniently is home to a host of retail establishments, restaurants and bars and nautical professionals available for all the leisure port clients and tourists. 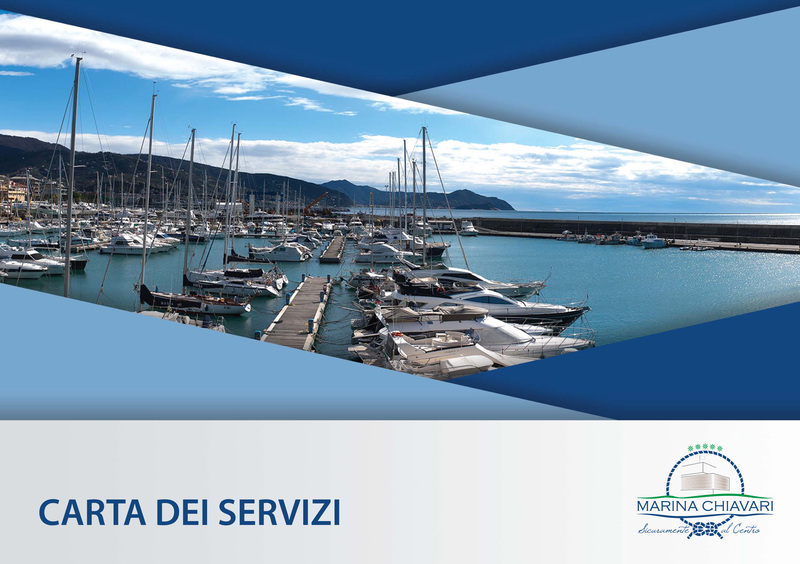 Thanks to the extensive fortifications at the outer banks of the breakwater jetty and the engineering of a wave shield, Marina Chiavari is one of the safest harbours in Italy. With 24/7 video surveillance monitored by the local police department and a highly trained marina staff, you can rest assured that no matter what type of boat you own, your vessel is in the best possible hands. Marina Chiavari’s moorers provide mooring assistance to all boats for all sizes, 24 hours a day. Download the "Carta dei Servizi"